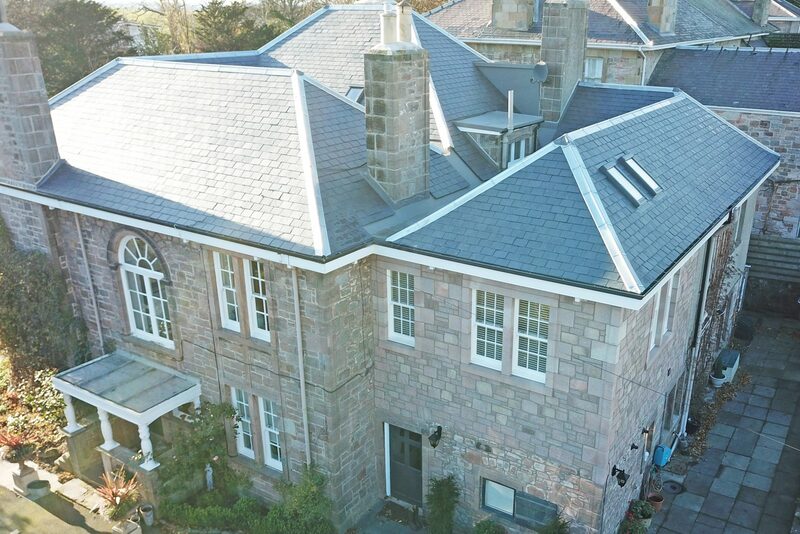 The Site team have just put the finishing touches on this fantastic project in Berwick upon Tweed. 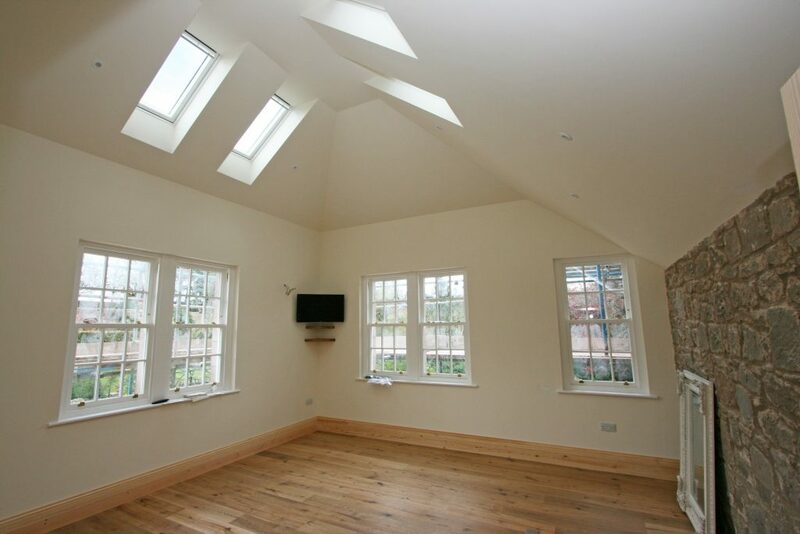 The project Brief was a first floor extension & complete re-roof of the property. 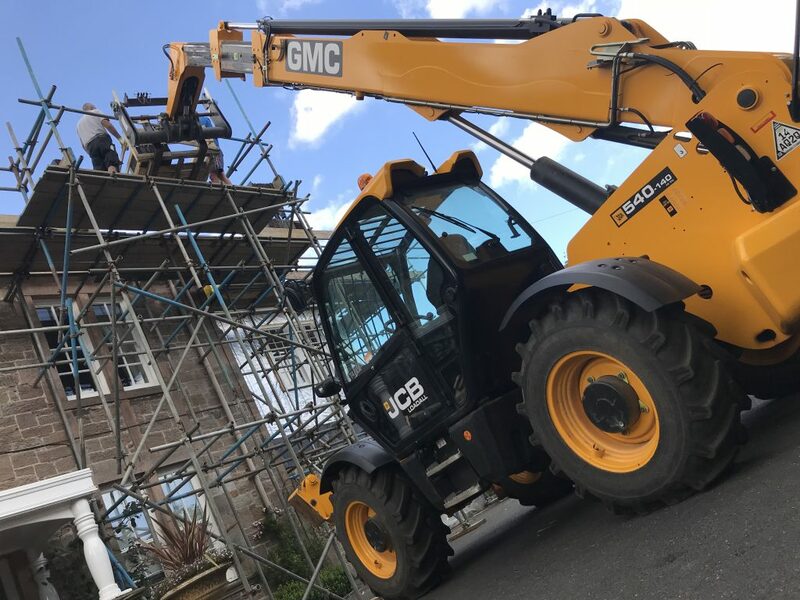 After a competitive tender process GMC were appointed as main contractor. 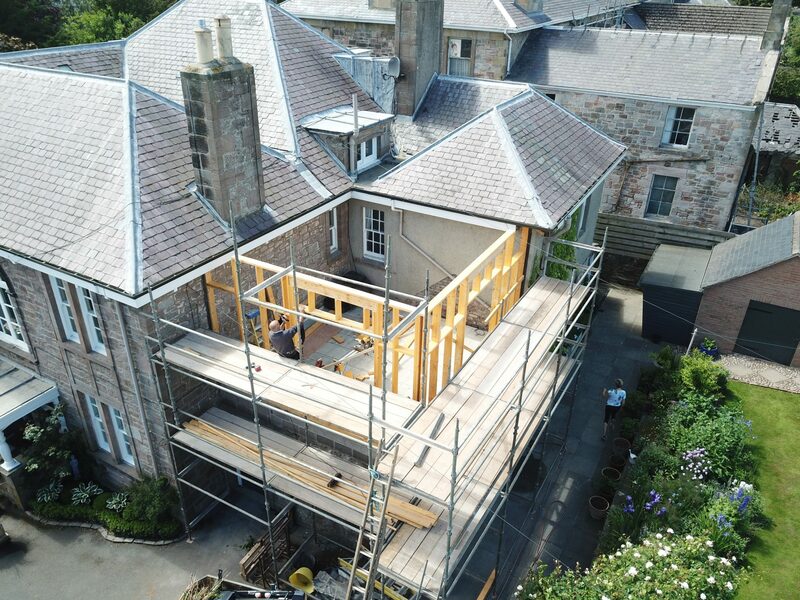 The design team advised on build specifics and material choices before starting the extension works. Block & beam floor structure was specified as the room is to be gym. 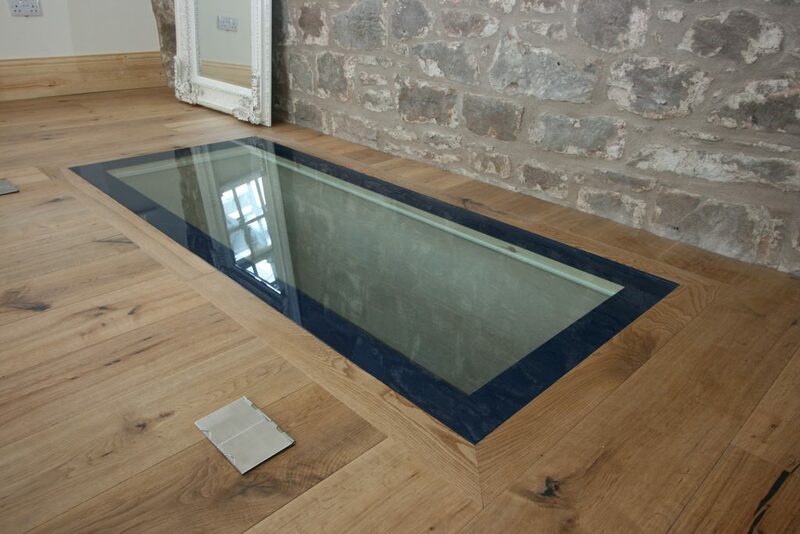 This floor structure is superior in terms of load capacity and reduced flex under load. 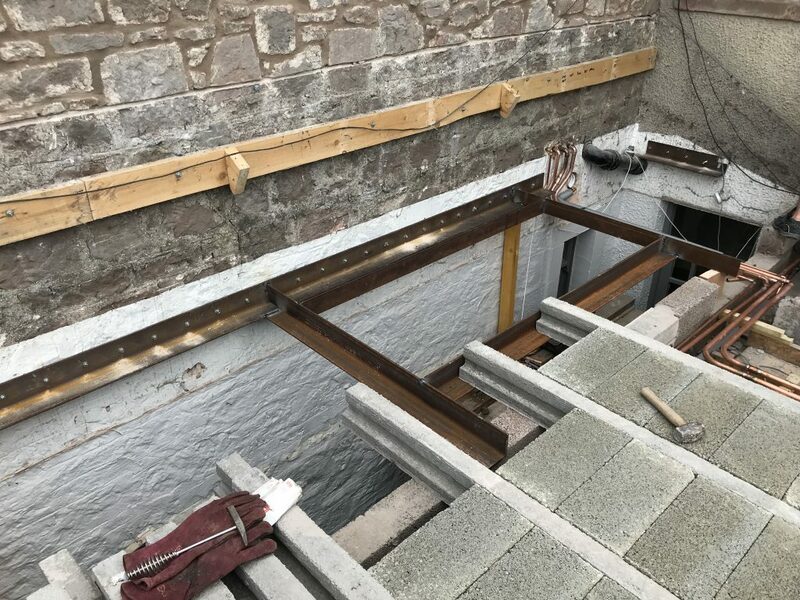 With the floor in place, the timber frame structure was fabricated in place before being insulated and covered with breathable vapour barrier. Windows are timber sash & cash with weights to match the windows within the rest of the property. The celling was designed as vaulted to add to the feeling of space within the room. Structurally this is supported with steel. 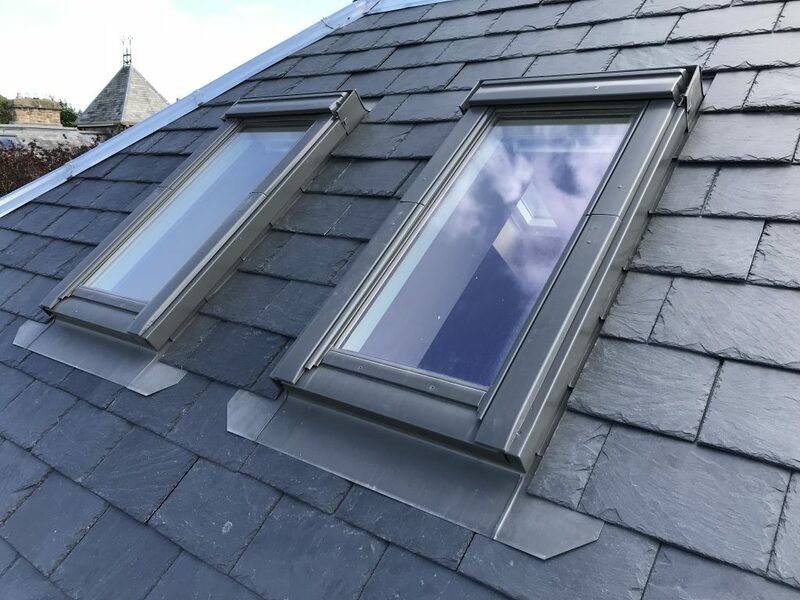 Velux windows and natural slate roof finish the fabric of the new addition. 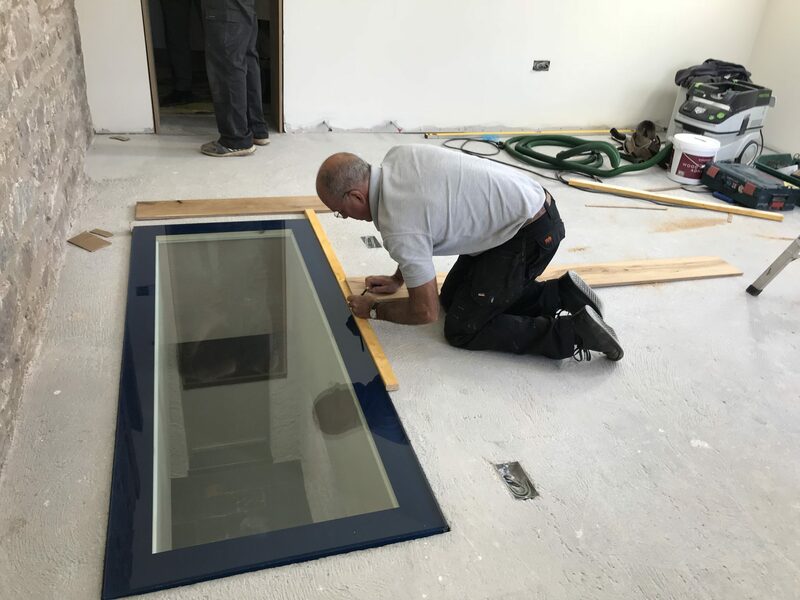 Internally the site team fitted an opening created in the floor finish with walk-on glass to illuminate the passage below with natural light. This is finished with an engineered hardwood floor fitted by the site team. 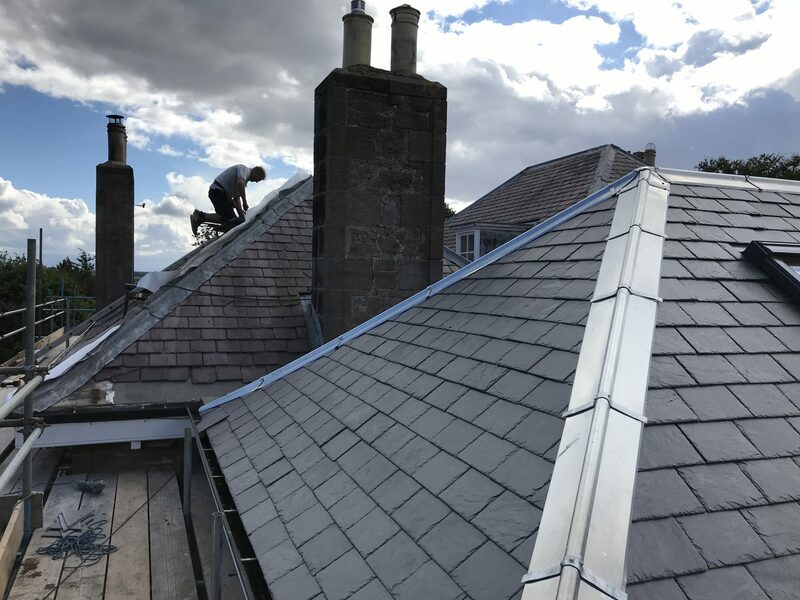 With the extension complete the rest of the property is accessed by scaffold the team begin working their way around the property, stripping sections of the roof and re-slating as they go until the works are complete. The roof details were re-configured in a way to reduce abutments and possible sources of un-necessary maintenance. The team used poly-roof as alternative to large areas of lead work. Ridges & hips finished with a Zinc profile. 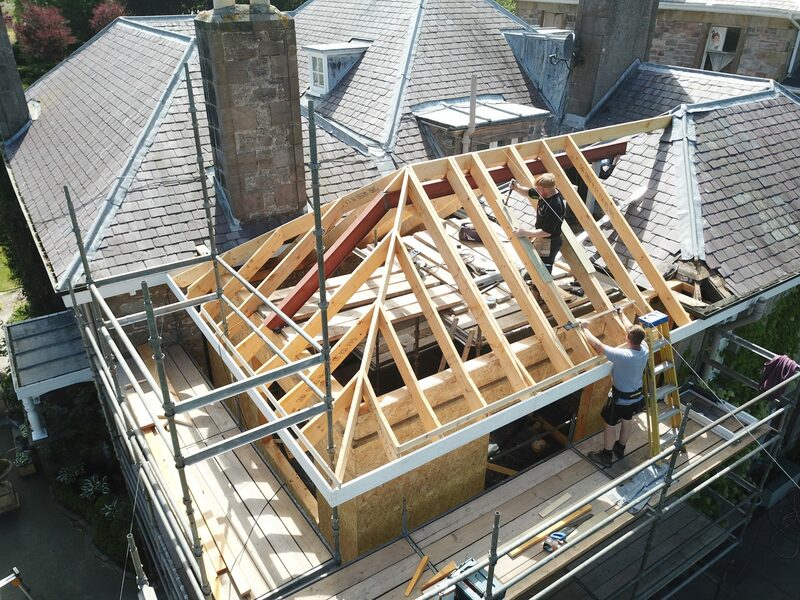 The scaffold is now removed and the clients are happy with their new room & roof is good for the foreseeable future.